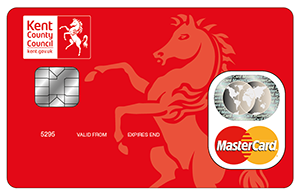 If we have agreed you are eligible for care and support from Kent County Council, you can choose to have a direct payment, where money from us is paid onto your Kent Card. This means that you can arrange and pay for all or part of your care and support services yourself rather than getting services directly from us. Following your needs assessment you will have a financial assessment to work out how much you and the council will pay for your care and support. Direct payments give you greater choice and control over the care you receive. You can use your direct payments to buy the support that you've been assessed as needing in your care and support plan or your child's education, health and care (EHC) plan. This could include employing a personal assistant or paying for respite care. You'll need to be able to manage your direct payments (either by yourself or with help). If you don't think you'll be able to manage, you can always nominate someone else to manage your payments for you. If there's a reason we can't offer you direct payments, we'll tell you. You can request a carer's assessment to find out if you are eligible for a direct payment or other types of financial support. To set up direct payments, speak to your case manager, email direct.payments@kent.gov.uk or call us on 03000 41 36 00. If the direct payments are for a disabled child, your social worker will have advised you how to set them up. The We Are Beams offers information and practical support for disabled children (up to the age of 18) and their families who are receiving or interested in direct payments.